I don't know about you, but I for one cannot even begin to imagine the level of mental and physical dedication an athlete needs to train for the Olympics. This does, however, lead me to wonder: Do Olympic athletes train every day? In my imagination, Olympians are pretty much always training, but logically speaking, that can't possibly be the case. How do Olympians keep from injuring their bodies or experiencing burnout? What is the best balance between athletic training and letting your body rest and recover? Luckily for Olympians, they usually have teams of professional trainers and health professionals by their side to help them know exactly what is best for their bodies. Of course, for many athletes, having the time and money to train are also factors in whether or not they train every day. That's right: Olympic athletes are not paid to train. In fact, for many athletes who balance full-time jobs, school, or other commitments, there simply aren't the resources available to train every single day. Even when not actively training, however, most Olympians are always preparing their bodies and keeping up a careful level of fitness, whether it's by getting enough sleep, eating the proper diet, or finding alternative ways to train their bodies outside of sessions. 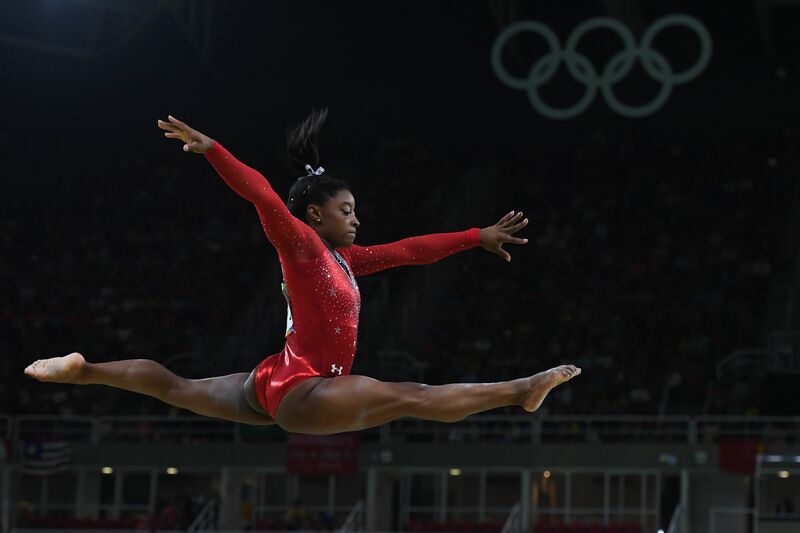 In my imagination, Simone Biles is constantly doing gymnastics, whether she's training for the next Olympics or doing back handsprings around the grocery store. In reality, my imagination is not too far off: Biles spends 32 hours a week training, which is broken up over six days. Wednesdays are her day off, and I'm willing to bet they feel pretty darn sacred. Similar to Biles, Gabby Douglas also trains six days a week. According to Cosmopolitan, she trains in the mornings from 8 a.m. until noon, when she breaks for lunch; then she resumes training for the afternoon until it's time for dinner. She gets a restful eight hours of sleep each night. That's a pretty well-deserved night of sleep, if you ask me! CNN reported in 2012 that Michael Phelps does train every day. At one point, Phelps trained in the pool for three to six hours every single day, and did separate exercises on dry land four to five days per week. Fellow swimmer and Olympian Haley Anderson's workout regime is exhausting just reading about, much less stepping into the pool. According to Cosmo, Anderson spends two hours every morning in the pool, a subsequent hour on strength training, breaks for lunch, and has a two-hour long swim practice in the afternoons. Even on her "rest" day, Anderson goes to yoga to work on her flexibility. Talk about dedication. According to a recent interview with ESPN for their Body Issue, Olympic runner Emma Coburn doesn't take a day off. In fact, she runs nine times a week. That's right: Coburn runs an average of 80 miles per week, split up over nine or so runs. As Coburn tells ESPN, she enjoys running with her friends and trainers, because it's when she has the most time to catch up with people. She also spends a lot of time in the weight room on a regular basis.